From its world-famous statue 'Christ the Redeemer' visible from any point in the city, take the cable car to the summit of Sugar Loaf mountain which overlooks the infamous Copacobana Beach, not to mention Ipanema Beach with its reputation of beautiful sunsets and people. These add to the sense of the city as a giant adventure playground. 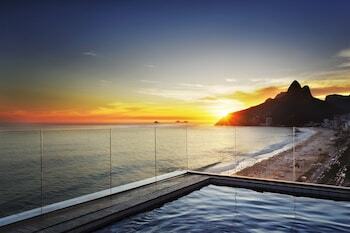 The possibilities in Rio de Janeiro are endless. 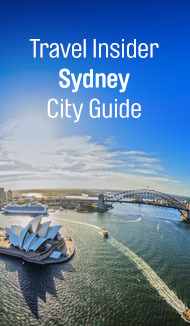 Here are just a few ideas to give you an introduction to this distinctive city. Browse all the big names of Brazilian fashion at Shopping São Conraldo near Ipanema. For travellers Rio can be divided more simply into the Zona Sul (south zone) and the Zona Norte (north zone). Most travellers will stay in the south where the majority of attractions are, but will travel through the north from the airport. Like an old dame, Copa features fabulous examples of art deco buildings along her fading waterfront with the standout being the ultra glamorous Copacabana Palace Hotel. Copacabanas main attraction is undoubtedly it's beach - mainly because of the beauty of it's setting, and in part the endless parade of tanned and toned bodies that that stroll along here. Take a walk along the prominade and visit one of the many beachside bars stopping for a bite to eat or sipping on a caipirinha. The bars also open late into the night, making them the perfect place to start and end a night out in the city. Location of the hottest hotels, most fashionable bars and the most photographed piece of beach in South America. Spectacular beaches lies beneath the volcanic cliffs of Dois Irmãos, upon which the favela of Vidigal clings like shale. Posto 9 is a popular beach for travellers in the middle of Ipanema. Join locals at the northern end to watch the sun set off Arpoador Beach. Leblon is celebrity studded, with slick apartment buildings set on the southern end of Ipanema Beach. This barrio (neighbourhood) is the place for high end Brazilian cuisine and swish party bars. In Lagoa, runners, cyclists and pram pushers take the track around the spectacular lake that sits just inland behind Ipanema. Studded with outdoor bars and play centres this is a wonderful place to hang out with young kids. This barrio of artists, musicians, writers and crumbling 19th century mansions has spectacular views down to the city below. It’s the place to be to listen to Sunday afternoon chorinho (Brazilian music style) and for impromptu street blocos (street parties) during the two weeks of Carnival. There are 93 stone staircases to help you navigate the winding cobblestone streets. Access to the Tijuca Forest is from here. Located at the bottom of the hill beneath Santa Teresa, Rio’s Pigalle was once a seedy red light district. It's now is a huge Friday night party place, famous for its street party beneath the magnificent 16th century aqueduct which once carried water to the city. Go here for samba, nightclubs and bars. Hosting one of the city’s hottest Saturday night funk parties on its peaks, hipsters are pouring into this suburb. Edgy but unmissable, this is the place to experience a little carioca funk. Surf, cycle along the beach on Sundays, eat fish in little beachside restaurants or visit gigantic shopping malls which line Avenida das Américas. Prainha is Rio’s favourite Sunday beach getaway, but you’ll need a car to get there. The former location of the slave port and in the process of a massive refurbishment, it's here you’ll find Rio’s outstanding MAR Museum as well as the samba of Pedra do Sal. Not at all touristy but features some of the Rio’s best museums and cultural centres, as well as super cool bars and restaurants. Recently this barrio has become a magnet for the hipster design set. Rio has moderate to warm average temperatures throughout the year. The warmest months are December to March, with high humidity and highs around 40°C. The coolest months, May to August, has clear weather and average temperatures of 22–32°C with lows around 12°C. The warmest months are also the wettest months. Flights to Rio usually arrive at Galeão International Airport. From there, you’ll need to take an official taxi or an organised private transfer. Make sure the metre is on or negotiate your fare in advance. Rio’s public transport network includes bus, Metrô Rio and train networks. Road traffic is furious and almost at a standstill during peak hours, so Metrô Rio and trains are recommended whenever possible. You will need an hour to get from one side of town to another. Taxis are readily available and are the recommended form of transport for night travel. They can be hailed from the street or caught at designated stands.